Marjolijn Feringa has over 20 years of experience as director, manager and coach in banking, HR and IT. She started her company AmEffect in 2017, an organisation which helps entrepreneurs with continuous improvement. She is responsible within Rabobank for the implementation of continuous improvement, Lean and Agile. She is co-initiator of opstartverhalen.nl; a site with inspiring stories of entrepreneurs about the start of their business. Her inspiration lies in helping people and organisations to accomplish their dreams and goals and making this as practical, effective and fun as possible. 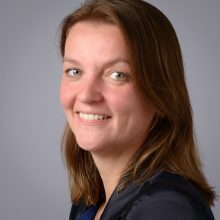 Marjolijn does this as interimmanager, organisationadviser and coach for professionals, managers and executives. Her new book is available February 2019: “Agile FOCUS in besturing, pocketguide voor executives in transformative”.